Since I'm not a serious runner, I tend to prefer sneakers that look more casual than athletic. When I received my complimentary pair of Gdefy Scossa cross trainers, I wasn't completely disappointed, but I was also a little hesitant. They looked like real running shoes, and they had an extra piece at the bottom of the heel. I convinced myself the look was futuristic at best. However, I managed to get a few compliments. So... scale of 1-5, I give these a 3.5. Initially, these sneakers felt a bit odd. They were a little heavy, and my feet were not-quite-comfortable in them. The information packet pre-warned me about this, though, advising users to allow a "work you in period" before writing the shoes off as uncomfortable. 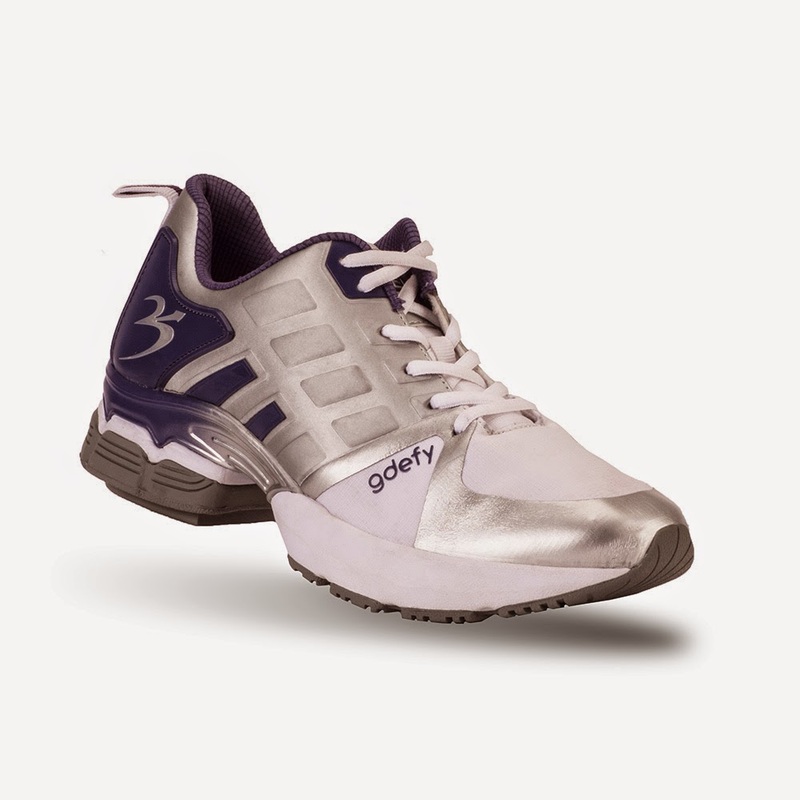 Apparently, GDefy's technology causes the use of newly activated muscles in the feet and legs, which may lead to soreness. They also come with a removable insole that features moderate arch support (which is hard to find in most shoes these days). 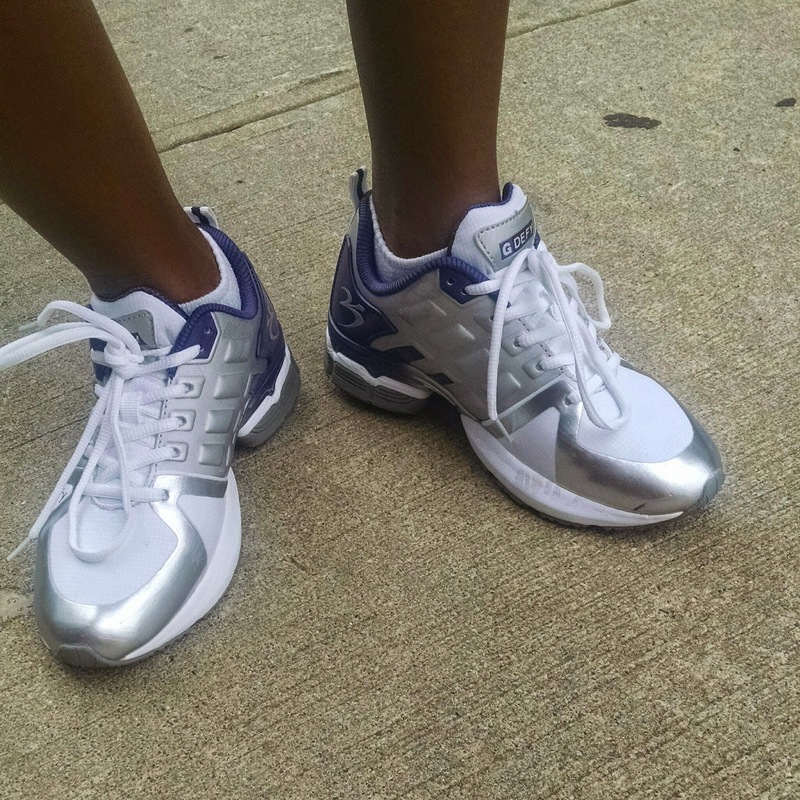 After a day or two my feet adjusted, and my sneakers felt like a godsend. Previously, I'd wanted to stop jogging after one block, but now I could go much further. 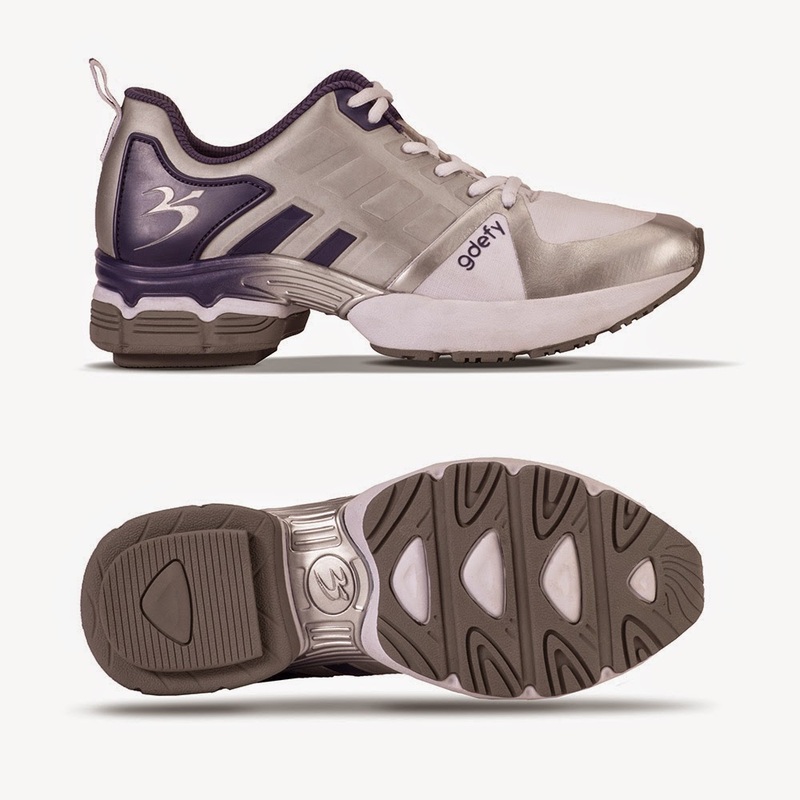 It was as if I couldn't feel the heel strikes when I ran (thanks to the VersoShock Reverse Trampoline Sole), so the fact that they're a little heavier than some other sneakers ceased to matter. On a scale of 1-5, these get a 4.5. A half point is deducted because my heel tended to slip a bit during runs and walks, unless I tied them extremely tight. This isn't necessarily a shoe I'd wear for fashion's sake, but it is my go-to shoe for walks and jogs. I checked out the website, and they do have a lineup of more casual shoes and sandals. They're not exactly my style, but they look like they'll be great for those who spend a lot of time on their feet or those who have foot problems. (Teachers, nurses, flight attendants, stylish women with diabetes, I'm talking to you! You really should look into these.) They're worth the $160 so far. However, I haven't had them long enough to grade them on durability. In total, the shoes get a 4 out of 5. They are definitely #shoesnboozeapproved. I like the look. I need running shoes with actual shock absorbency and these might work. Where might I purchase a pair? They're available on the Gdefy website. www.gravitydefyer.com. You should also be able to get to this particular pair by clicking any image except the one of them on my feet. Nice!!!!! I like these, and the site says 30% of everything!